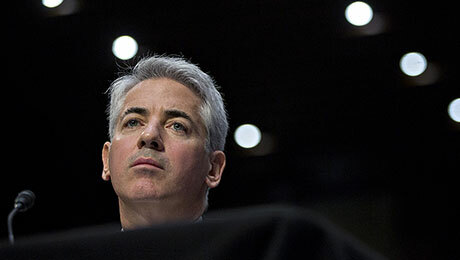 Activist hedge fund manager Bill Ackman has gotten such a hostile reaction from the CEO of his latest target, payroll processing giant ADP  which he calls a lethargic and inefficient sleeping giant  that he now thinks that the man may have to go. Ackman said that at the start of his campaign he had been open-minded about keeping Carlos Rodriguez, a fellow Harvard graduate whom he called  a good honest capable person who wants the best for ADP. But having seen the reaction from Carlos, the activist is now having second thoughts. Its very likely this will require a change in the CEO of the company, he said. Ackman made the comments near the end of a three-hour webcast and 168-slide-deck presentation Thursday morning in which he laid out the problems facing ADP, the worlds largest payroll processor with a $49 billion market cap. 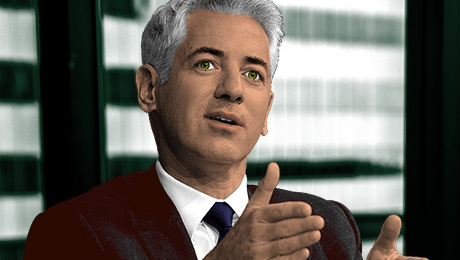 Pershing Square has an 8.3 percent stake in ADP, which swiftly rejected the hedge fund firms request to avoid a proxy battle by extending a nomination deadline to allow it to show its findings and suggestions for a transformation of the company. The stake was disclosed on August 4. Initially, ADP claimed Ackman wanted to control the company with five board seats and fire Rodriguez  both of which Ackman denied was the case in Thursdays webcast. After six months of research, which involved speaking to some 85 former ADP employees, competitors, and brokers, Pershing Square painted ADP as a behemoth that is materially underperforming its potential and is losing ground. Its big U.S. clients appear to have declined by almost 50 percent since 2009, according to Pershing Squares analysis. 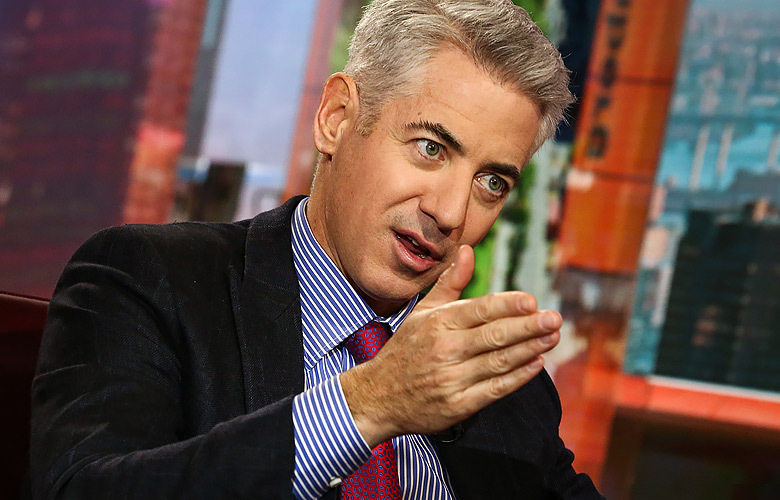 Complex and opaque accounting has concealed these problems, and insular management with a bloated corporate structure has been reluctant to address them, Ackman said. ADP said in a statement that it strongly disagrees with many of the assertions made by Mr. Ackman, adding that ADP is not resting on its laurels. The company has touted its long-term stock performance, saying its stock has gained about 202 percent, including dividends and shares of spinoff CDX, over the past six years of Rodriguezs tenure. But this year ADP has lagged the S&P 500 significantly, as it is now up only 2.28 percent in 2017, compared with a gain of about 9 percent for the index. ADPs use of what Ackman calls outdated and competing technologies has led the company to have what hedge fund manager Leon Cooperman, a former board member, called a high-touch business model. 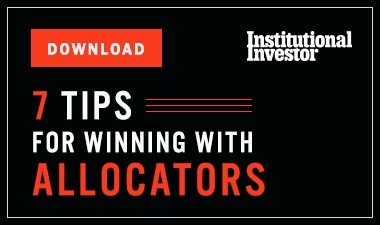 Ackman argues that doesnt compensate for its technological weakness, which is allowing interlopers to gain ground. Ackmans plan, which he says could increase margins substantially and double the stock price, has been met with skepticism. We faced the same issue with Canadian Pacific, he said, but margins actually increased more than expected. 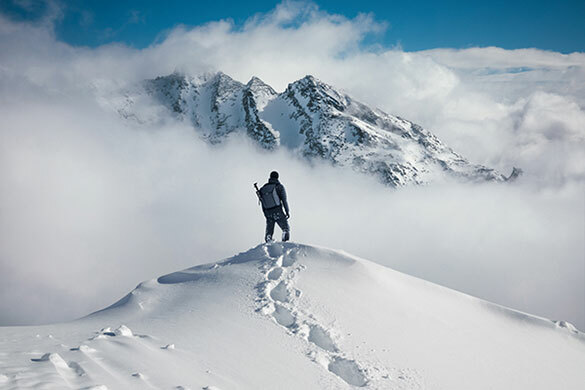 Pershing Square explained how it thinks margins could improve in each of ADPs business segments, leading earnings per share and the stock price to double from current levels in less than four years. By June of 2021, it could rise to $221 to $225, the hedge fund firm argued. Despite the CEOs resistance to Ackman, the activist said there has been a turnaround by the board since Pershing Square filed its proxy on August 7, nominating a minority slate of three candidates to the board. The ADP board has already interviewed two of the nominees  Veronica Hagen, the former CEO of Blackstone-owned Polymer Group, and Paul Unruh, a former executive at Bechtel. Ackman, the third candidate, was being interviewed later Thursday afternoon. A meeting with the board is set for Sept. 5. There are strong signals we can resolve this without going to a proxy contest in November, said Ackman, who indicated during the presentation that he wasnt set on ousting any of the current board members. A CEO must always realize that they serve at the pleasure of the board and the shareholders, McManus wrote.